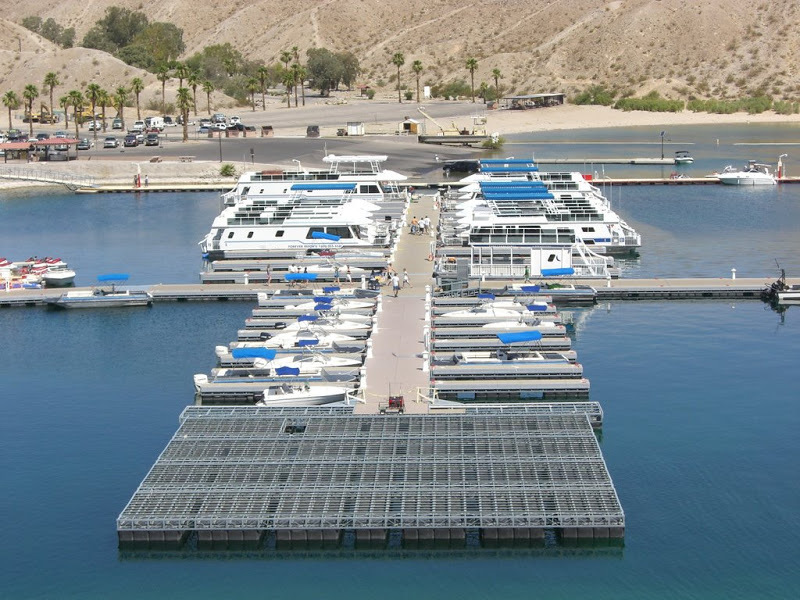 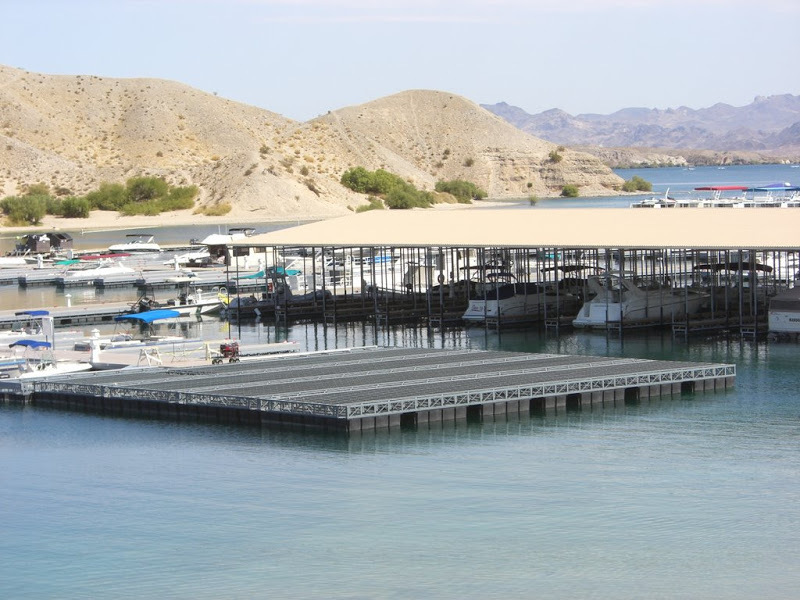 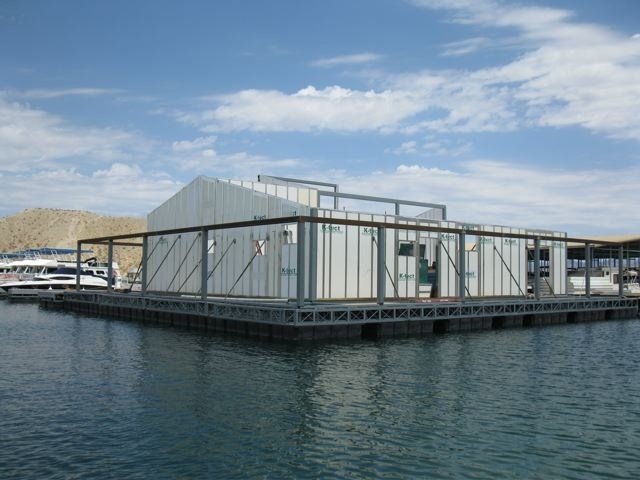 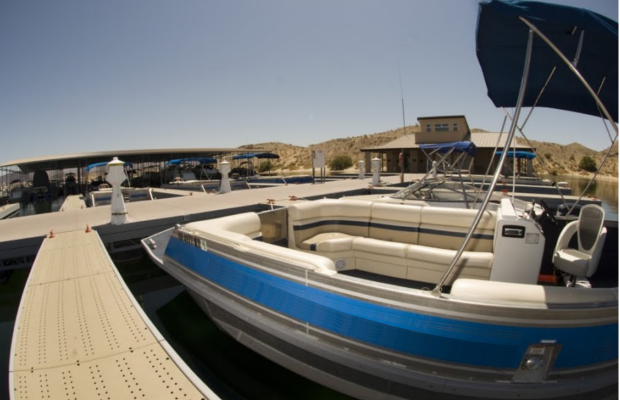 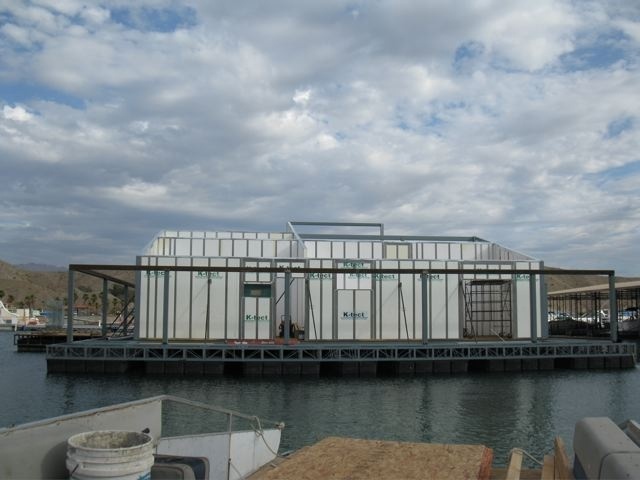 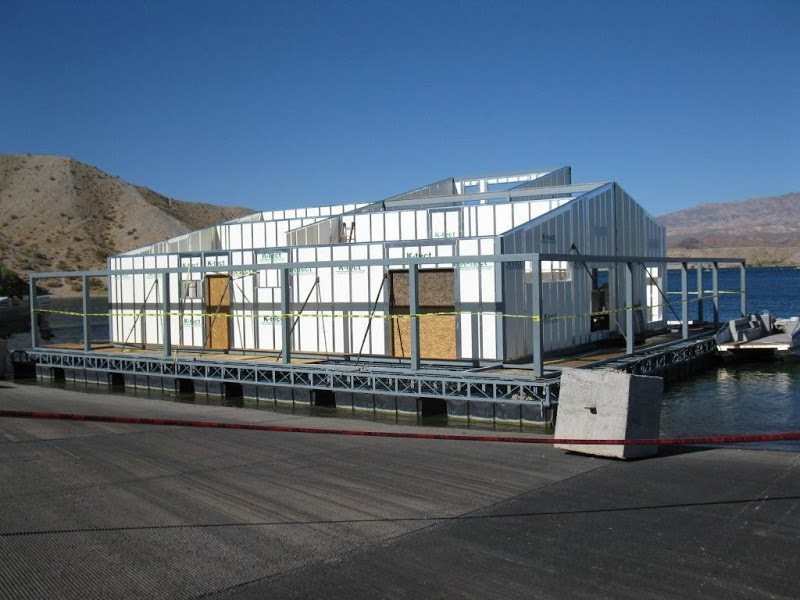 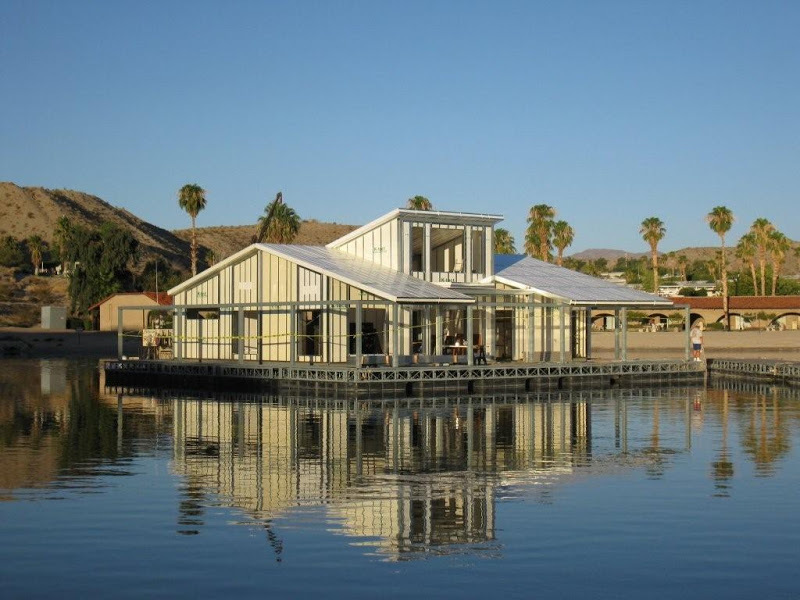 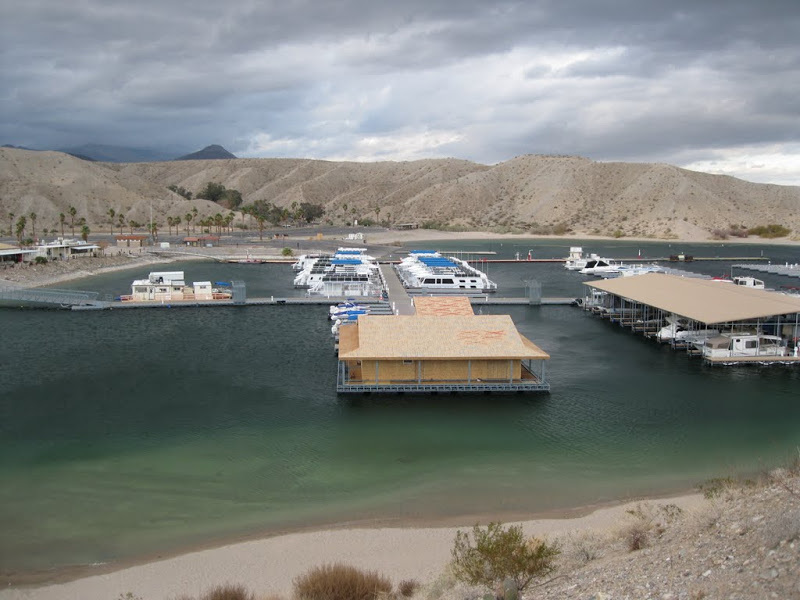 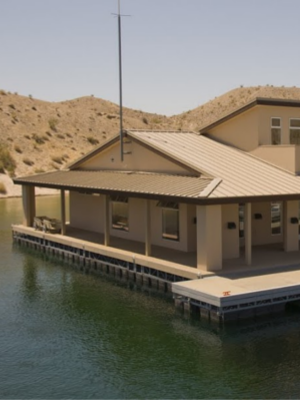 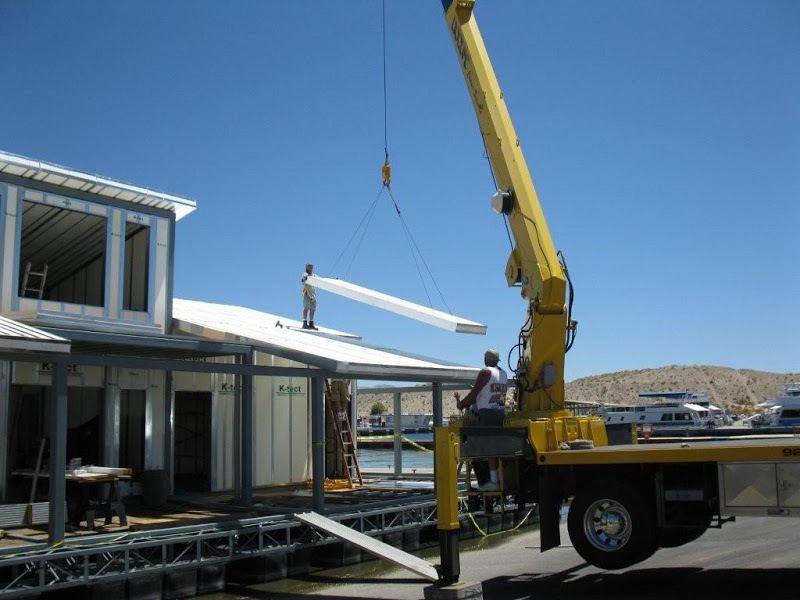 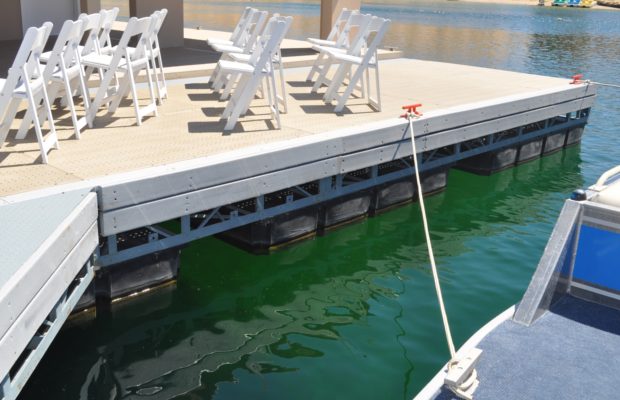 Cottonwood Cove Floating Marina is a 2,000 SF structure on a custom fabricated floating dock system on Lake Mohave, just outside Searchlight, Nevada. 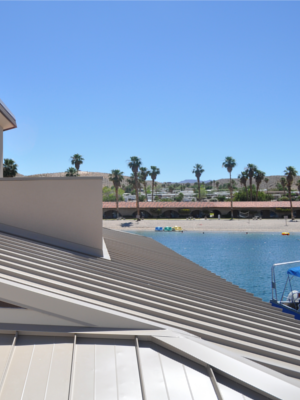 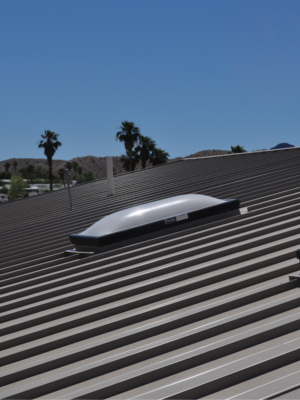 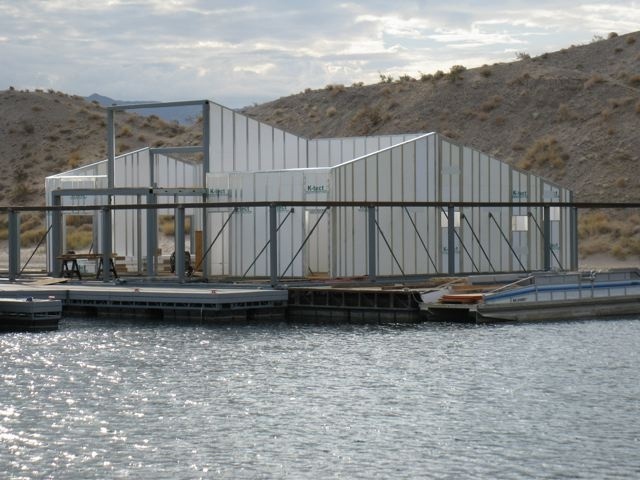 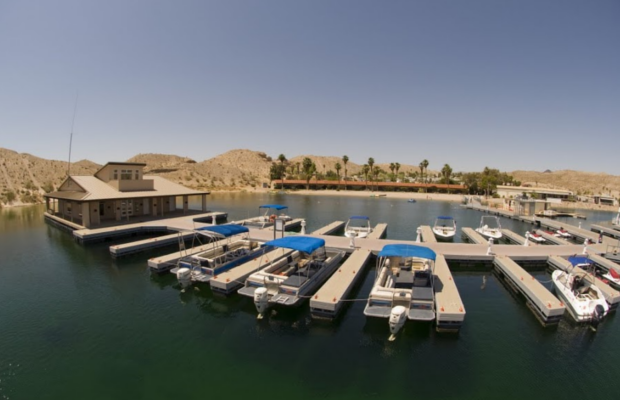 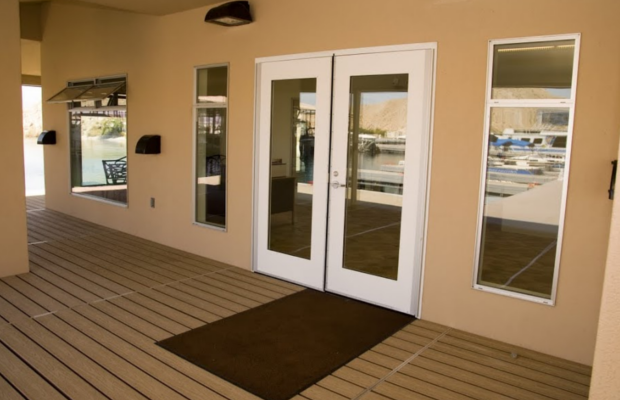 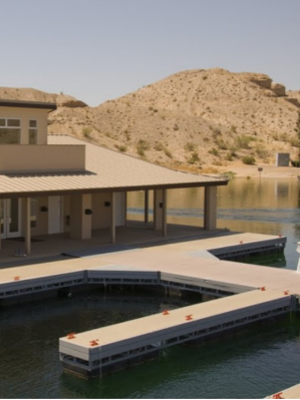 The project is part of Cottonwood Cove Resort in the Lake Mead National Recreation Area and provides rentals for personal watercraft and houseboats.Additionally the marina building will provide dry storage and boat repair service as well as restrooms to guests. 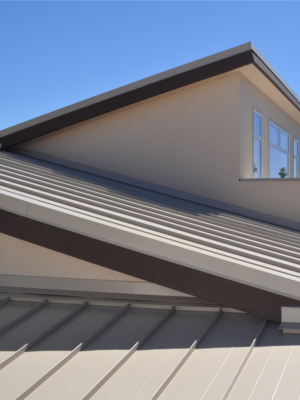 The building has been LEED NC Gold Certified via an energy efficient design. 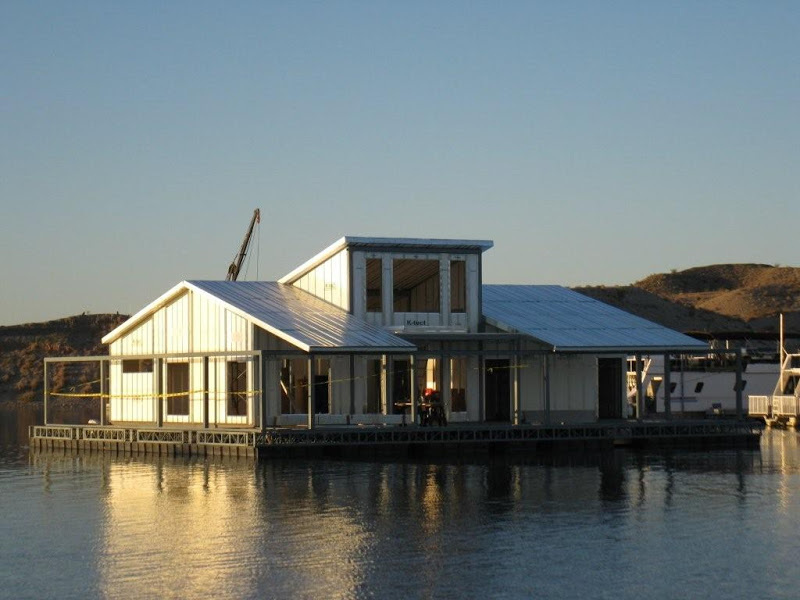 The floating eco-friendly structure features sustainable modular construction and state-of-the-art energy-efficient and environmentally responsible materials and fixtures. 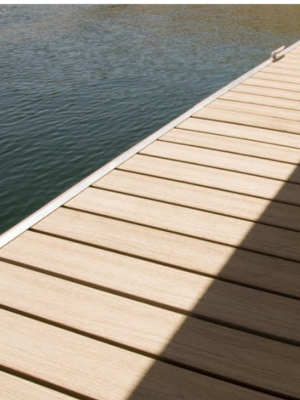 Decking is made of a composite of rice hulls and recycled plastic and the exterior stucco is made of recycled tires. 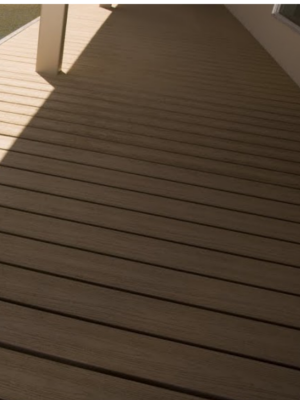 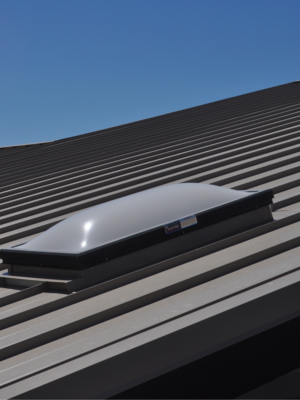 Use of low or no volatile organic compound materials, paints and adhesives will rid the building of the typical “new building” smell improving the overall indoor air quality.